Allen Parish is proud to host a wide variety of local events throughout the year, including Mardi Gras, The Allen Parish Fair, the 60+ mile Re-Thunk Junk Flea Market Trail, and more. With a number of fun event offerings, you are bound to find one that interests you! What are you waiting for? Come and enjoy the energy and excitement of Allen Parish and step into Cajun Country! Colorful costumes, horses and good Cajun music are the ingredients for the Allen Parish Mardi Gras. From traditional to contemporary, we have a parade for everyone. Festivities begin the 1st weekend prior to Ash Wednesday and build to the grand finale on Fat Tuesday, Mardi Gras Day. After each crew has its trail ride, all gather to share in the community gumbo and dance. Come on Sha….its time you saw the real Mardi Gras. September in Allen Parish is fair time! Music, rides, and food booths are highlighted with the stock show and rodeo. Family entertainment for parents and children alike. 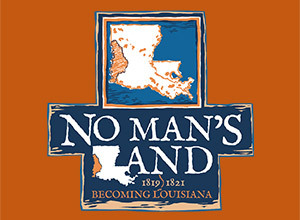 This event is held at the Allen Parish Fair Grounds in Oberlin, LA. Please call 888-639-4868 or 337-639-4868 for more information. Bargain hunting at its best along the 60+ mile Re-Thunk Junk Flea Market Trail on Friday 18th and Saturday 19th of October starting at 7:00 a.m. RAIN OR SHINE… Whether you are a vendor or a junker-at-heart, there is plenty to keep you busy! Interested Vendors please call the Allen Parish Tourist Commission at 888-639-4868 for more information on how to register. Les Grandes Lumieres is synonymous with Allen Parish. Events begin the Saturday before Thanksgiving and goes through December. Each town gears up for its own Christmas Celebration. Call for dates and times for all events parish wide events. 888-639-4868 or 337-639-4868.